This week I've reviewed three books for you that aim to provide inspiration throughout the entire year. 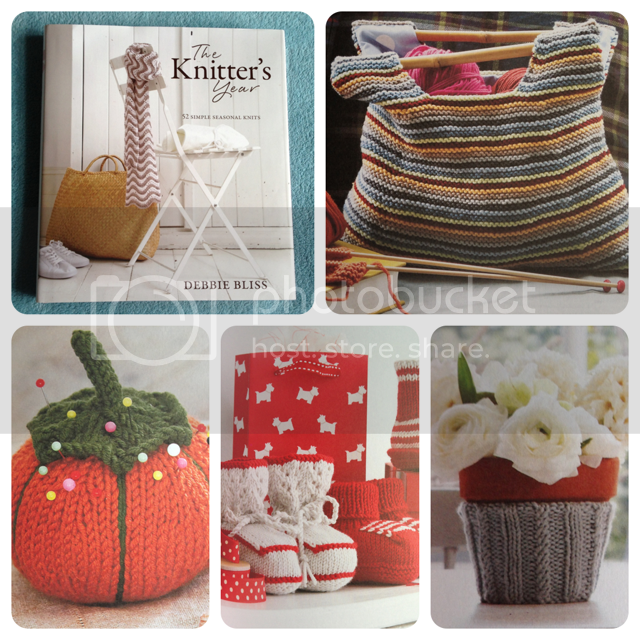 The new book from Danish crafter and photographer Sarah Goldschadt is out this month and is packed with (365!) simple whimsical makes that require very little in the way of materials, time or specific skills, in fact many of the projects are suitable for making with even young children. This is a big hardcover book with lots of lovely photographs and clear instructions. The projects are organised into themed weeks (eg Snowflake Week, Pumpkin Week, People Week) and each week you'll find a number of different projects using the same templates, all based on the theme. There are lots of house/party decorations, cake toppers, gift tags, finger puppets, mobiles, garlands, cards, some plush animals, t-shirt embellishments and much more. I can't imagine actually working through ALL of the projects in one single year, but for decorating children's parties, when you need to wrap a gift, or when the kids are "bored" on a rainy Saturday, there is a lot of inspiration between these pages. I can totally imagine making the seasonal cake toppers while the kids' cakes are in the oven, or coming up with a nice birthday card and matching gift tag before they head out to a party. You can read more about the book at the author's website. 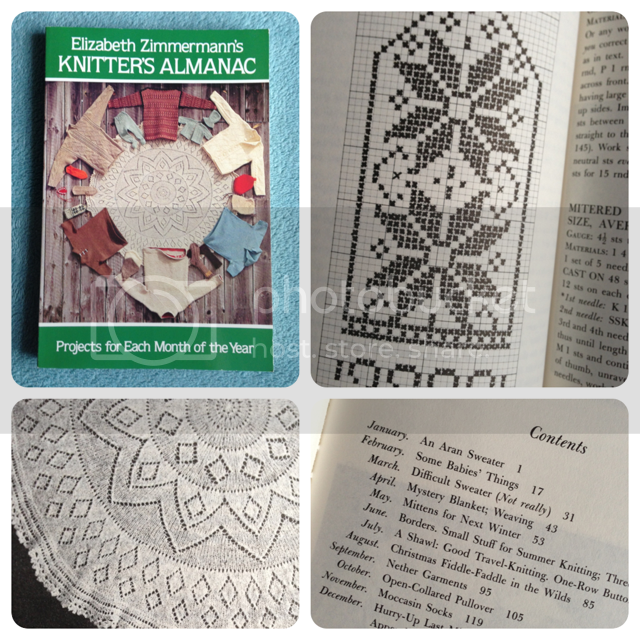 Whilst the first two books are full of lovely photography and contemporary patterns, this book - originally published the year I was born *gulp* - is black and white with hardly any photos at all. There is a commemorative edition which I believe includes colour pictures of the projects, but I don't have that one - this 'green' version is still in print and for sale alongside the other (at a lower price) and is just the way I like it. In my opinion the "old fashioned' way it's printed is a huge part of it's charm - something it has in abundance, along with warmth, humour and useful instruction. I can't tell you how much I love dipping in and out of this book each month. In fact it lives on my bedside table and each time I pick it up feels like delving into a treasure. If you don't have a copy, you might like to put it on your list! We will be away for half term so the next Festive Gift Guide will be on Thursday 8th November, when I'll be reviewing the new Jordana Paige Craft Butler Tool and giving you the chance to win one of your own in the FGG Giveaway. Hope to see you then! 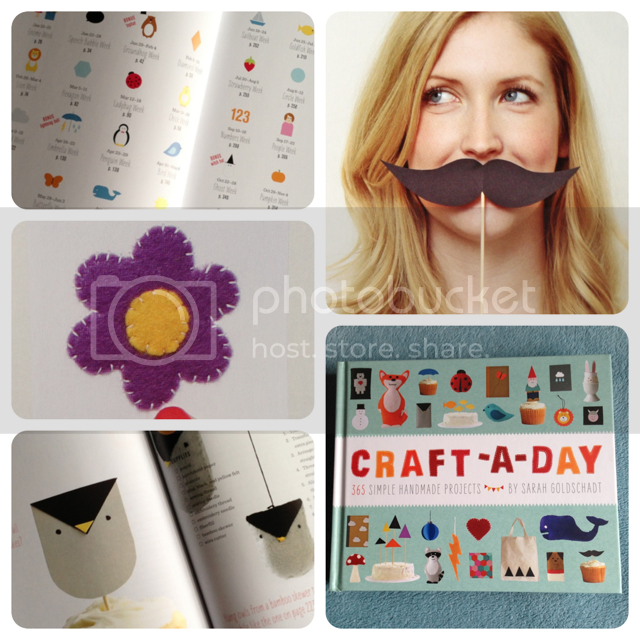 I like that Craft a Day book. There looks to be fun, quick crafts to keep the kiddies amused and engaged.